John Adam Di Pietro is managing owner of Di Pietro Law Offices, East Norriton, Pennsylvania. John Adam Di Pietro earned his J.D. degree from the University of Notre Dame. 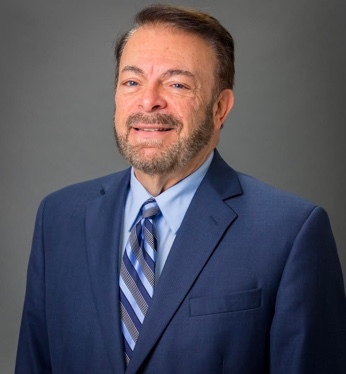 In addition to being a civil litigator for most of his career, Mr. Di Pietro also brings in excess of four decades of experience in real estate, title, zoning, land use, litigation, business and municipal law to The Danek Law Firm. He has served as solicitor for many municipalities and zoning and planning boards. In addition to representing local governments, he has acted as legal counsel for real estate developers, general contractors and financial institutions. He has also served a five-year term as in-house underwriting counsel and marketing agent for a national title insurance company. “Legal Issue in Local Government” Philadelphia, PA March 2, 2012. He often is a guest columnist on legal issues in a variety of internet media outlets. As a member of the Pennsylvania, Montgomery and Philadelphia County Bar Associations he has practiced before several U.S. Federal District Courts. As an appellate attorney he has also represented clients before the Commonwealth’s appellate courts. Mr. Di Pietro is fluent in Italian and French and has represented clients abroad in various business matters. Mr. Di Pietro was also active in local politics. In 1979, he was elected as councilman-at-large to Wilkes-Barre City Council for a four-year term. Community service includes Chairperson of the East Norriton Township Zoning Hearing Board and member of the Human Relations Commission of East Norriton Township. He is also a member of the Independence Business Alliance of Philadelphia. Special Counsel to Ambler Zoning Hearing Board. John is married and divides his time between Pennsylvania and Palm Springs, California.